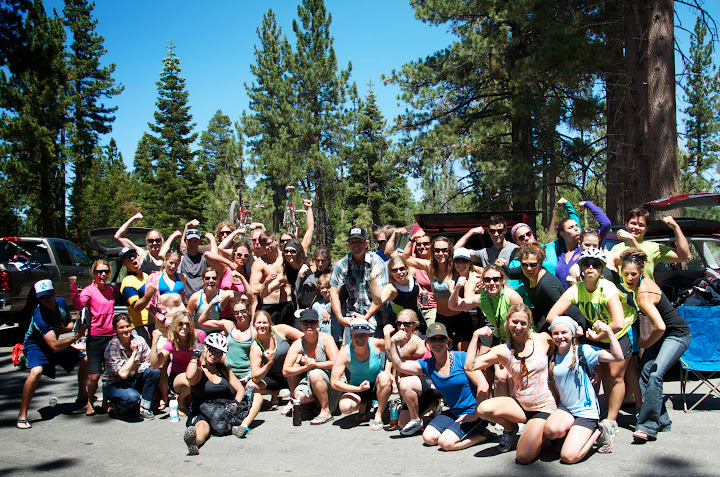 Every year, my bff Meghan Kelly throws an awesome unofficial tri called the Angora Lakes Tri. And by “throws” I mean she: tells people to show up, sorta of wrangles volunteers, and forces her husband Pat and usually Boyfriend to write down our finish times and suggests that people write things on their legs in permanent sharpie. 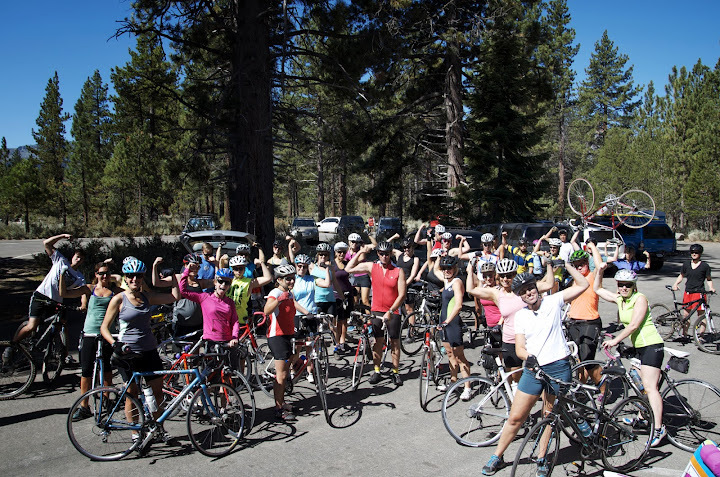 The starting line of the third annual unofficial Angora Lakes Tri (photo by Gretchen Eicher). The tri is a bit unorthodox and once again the order of events suited me: we ride our bikes from Kiva Beach to the Angora Lakes parking lot, where a volunteer with a car has our running shoes and swim stuff. Put your running shoes on and run power walk UP the steep hill to Angora, swim across the lake, get a 2 minute time bonus for jumping off the cliff, swim back, run back, ride back, celebrate, drink beer. Here I am, swimming with style (photo by Court Brock). I have a tendency to pass people on the swim and make up a lot of time and this year was no different. That being said, I had zero chance of catching up to the overall and men’s winner Lee who had 10 minutes on me. 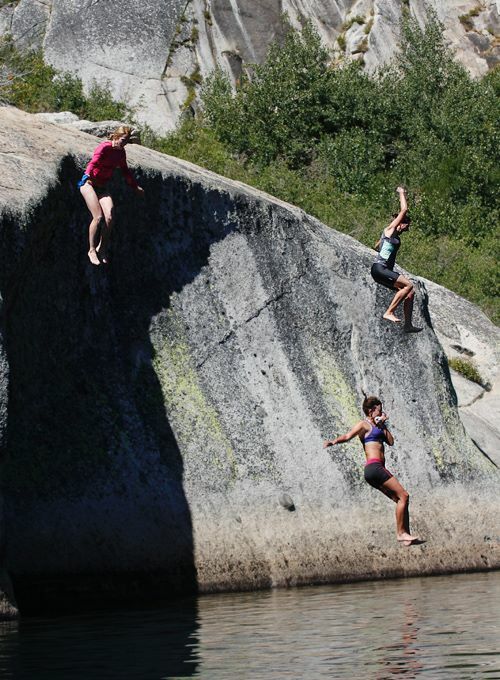 Competitors cliff jumping for the 2 minute time bonus (photo by Court Brock). You can read Meghan’s write up and see the official results via this link. Read about year 1 here. Read about year 2 here. The finish line (photo by Sheriff Underhill).